Drinkin' Like Lincoln. Celebrate the 4th of July with a funny and cool flask. 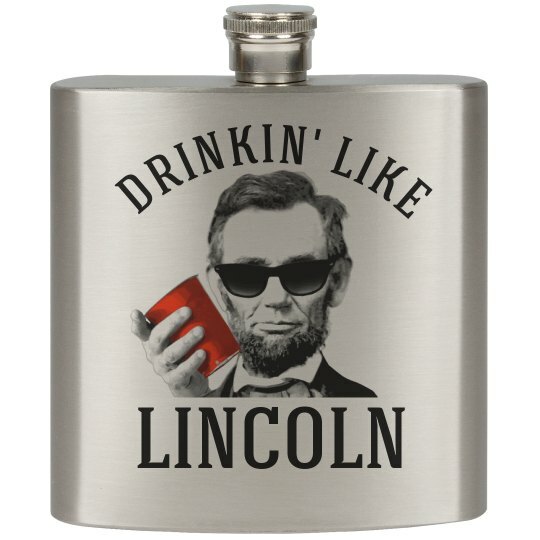 Party with this Abe Lincoln flask while you celebrate America. If there;s one role model in the world, it would be Abe Lincoln. He will be your motivation as you drink from this cool flask.